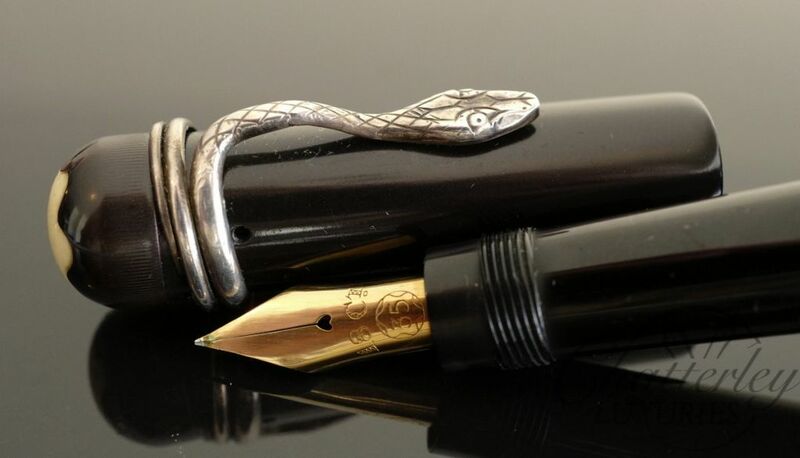 View cart “Montblanc #25 Safety Filler with Original Skinny Snake Clip Fountain Pen” has been added to your cart. This pen is like new It comes with a box and papers. Its NOS (New Old Stock). 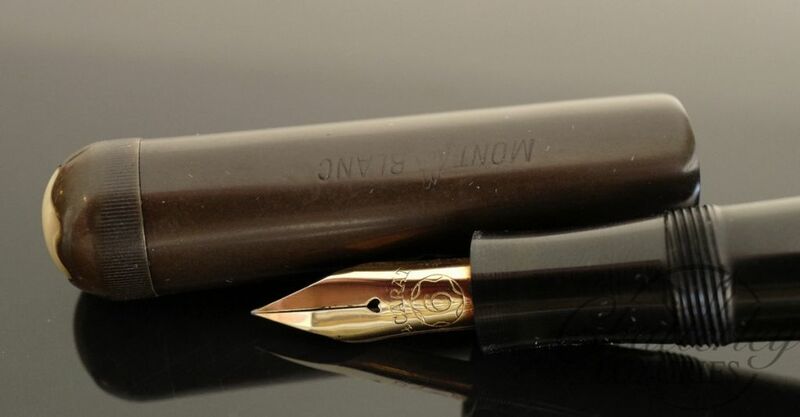 This pen has been discontinued now though. 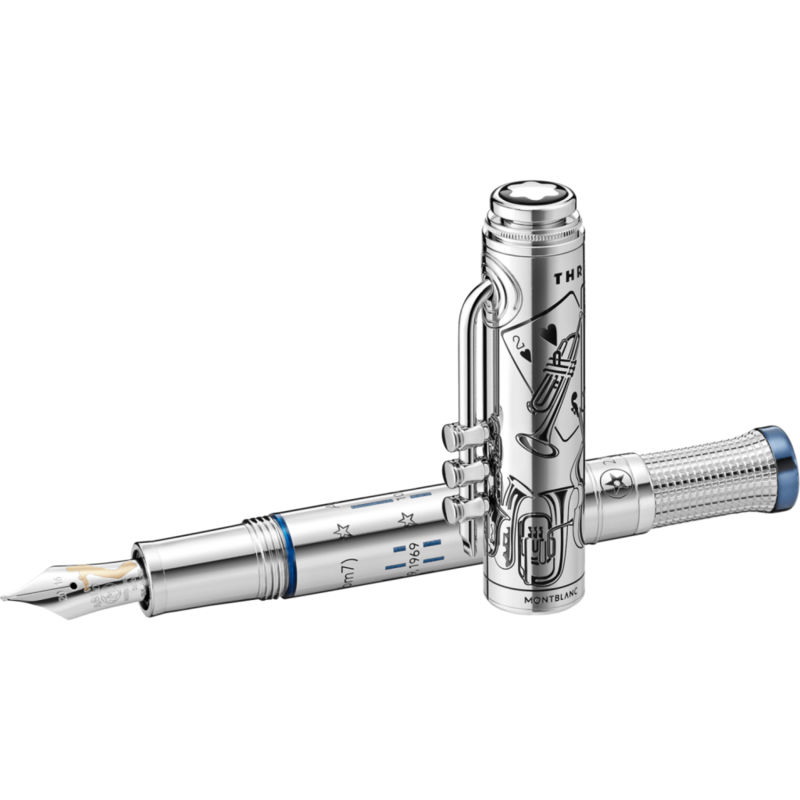 It is equipped with a Medium nib. 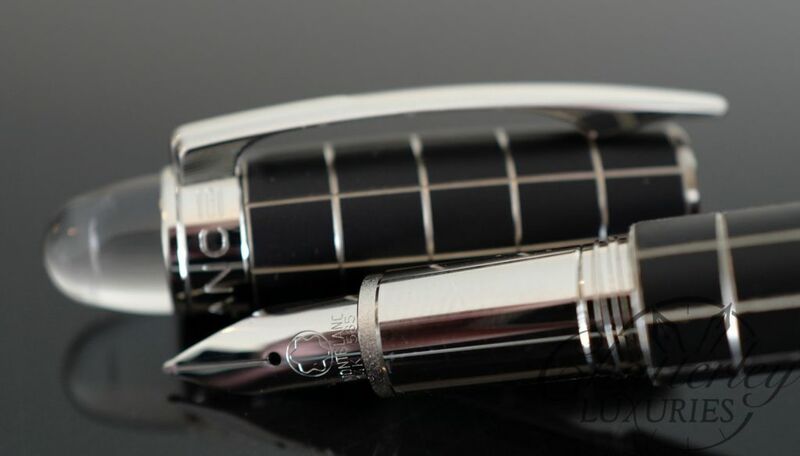 The Montblanc Starwalker Grids cap and barrel is black rubber-like finish with diamond-cut lines and platinum-plated rings and clip. 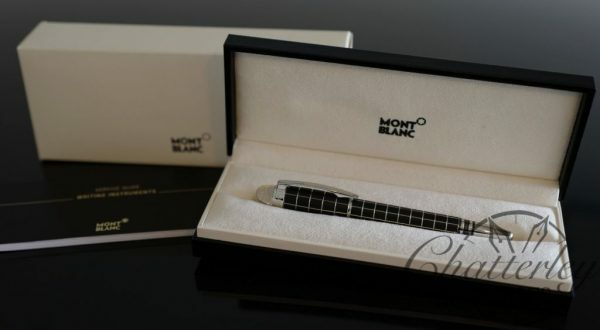 The transparent top of the cap encases a floating Montblanc white star.